Location: Melbourne School of Design, Basement Theatre (B117), University of Melbourne. A free public talk introducing the new book by Dr Joëlle Gergis that pieces together Australia’s climate history for the first time. Join award-winning climate scientist and writer Dr Joëlle Gergis as she shares her fascinating journey through Australia to unearth our climate history. Hosted by Sally Heath, Executive Publisher, Melbourne University Publishing, with an introduction by Professor David Karoly, Leader of the Climate Change Hub in the National Environmental Science Program. Presented by the Faculty of Science, Melbourne Sustainable Society Institute (MSSI) and Melbourne University Publishing (MUP). Sunburnt Country (MUP, 2018) pieces together Australia’s climate history for the first time. It uncovers a continent long vulnerable to climate extremes and variability, gives an unparalleled perspective on how human activities have altered patterns that have been with us for millions of years, and what climate change looks like in our own backyard. Sunburnt Countryhighlights the impact of a warming planet on Australian lifestyles and ecosystems and the power we all have to shape future life on Earth. 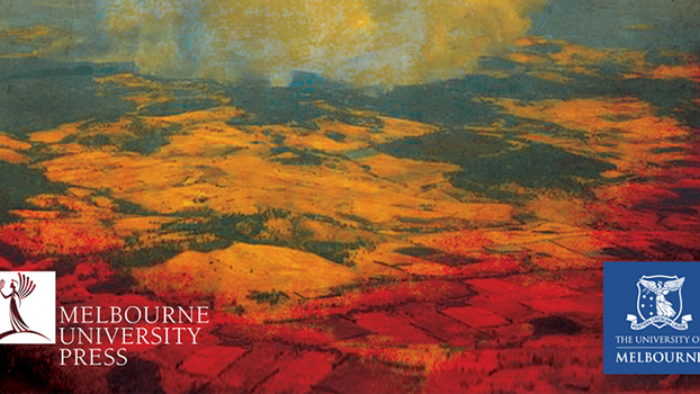 Sunburnt Country: The History and Future of Climate Change in Australia, by Dr Joëlle Gergis and published by Melbourne University Publishing is available from mup.com.au and all good book stores from 2 April. Books will be available for purchase and signing by Joëlle after the event.